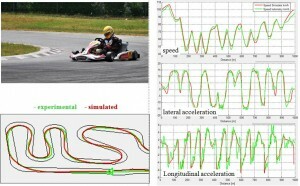 To optimize the lap time of a race kart proper models of the kart, circuit and rider have been developed. 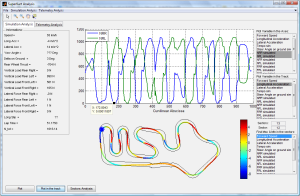 The kart model includes the deformable chassis, the tires (non linear behaviour, elastic carcass), the engine torque map, etc. The circuit is modelled with an ideal flat track, with variable width and variable adherence on its different sections. 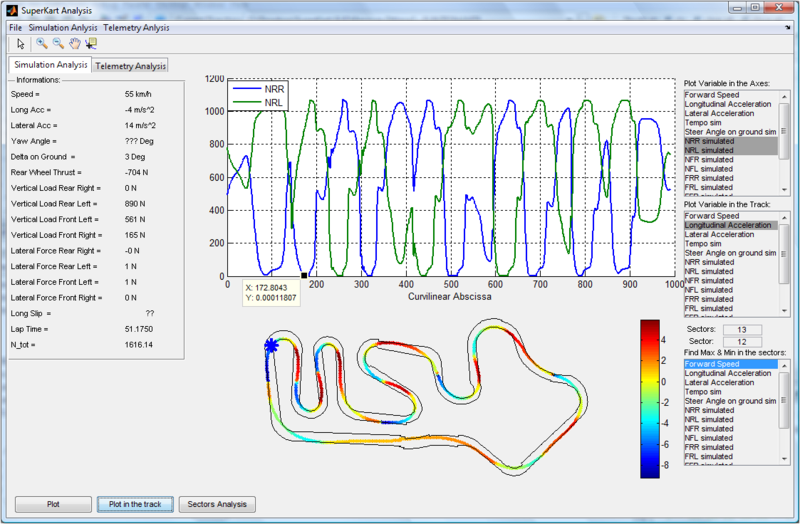 The rider skills limitations includes steering torque magnitude and bandwidth, as well as throttling and braking limitations. the inner wheel cornering radius is lower than the outer one. The solution is that the (skilled) driver lift up the rear inner wheel and the kart becomes a three wheeled vehicle while cornering. 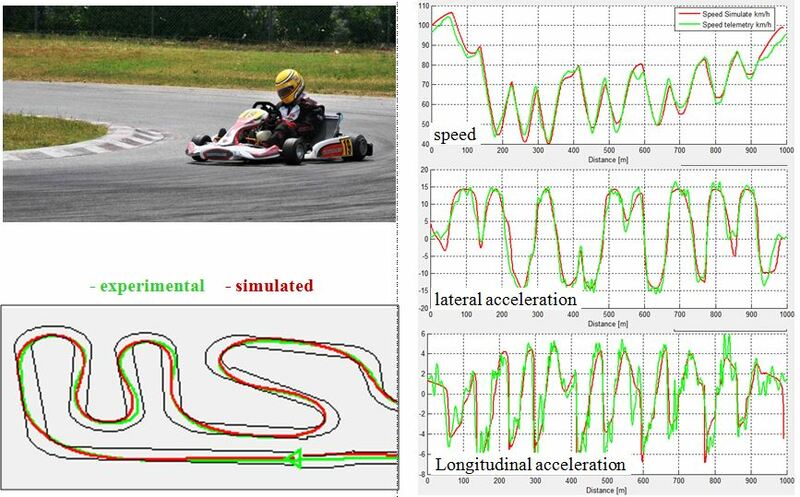 This feature is fully captured by the mathematical model, which properly switch from a four-wheeled vehicle to a three-wheeled vehicle passing from straight running to cornering and viceversa.